Help us keep homeless animals off the streets. With your support, we can continue saving abandoned animals in need. Everyday, animals are abandoned by their humans. They are left outside to fend for themselves and wait for the kindness of an animal rescuer to help them. 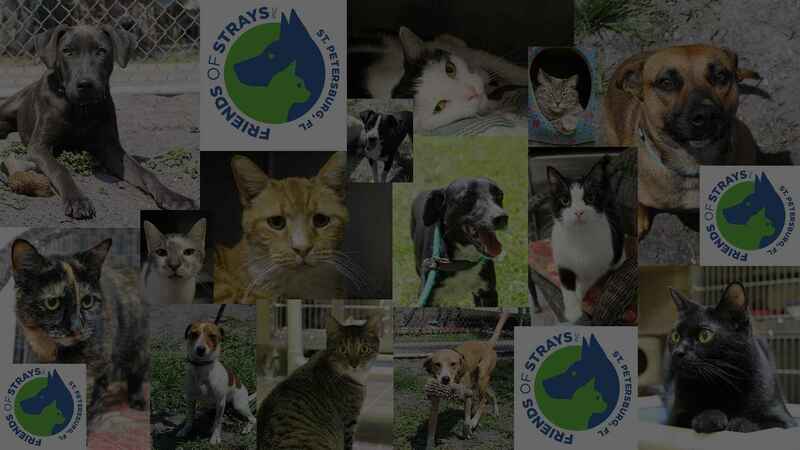 Your donation will allow us to continue our mission to save abandoned animal in Pinellas County and beyond. No donation is too small. And if you are not able to offer a monetary donation please consider donating your time as a volunteer. Either way we cannot do this without you. Please help us give a dog a second chance to play at the dog beach with her family. Maybe the older cat who came to us after being left outside when his owners moved will be able to find that perfect match and spend his remaining days basking in the sunlight on a cat tower in a safe home never to know the outside elements again.